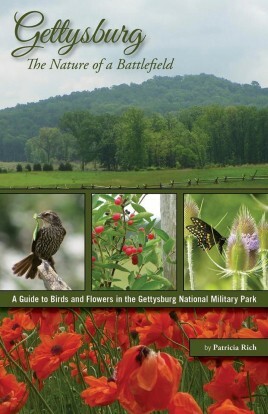 Gettysburg-The Nature of a Battlefield is a wonderful guide to the plants and wildlife of the Gettysburg Battlefield. Author Patricia Rich has spent many years on the Gettysburg Battlefield and has brought to life, with over 160+ pages of stunning photography the plants and animals that inhabit the battlefield today. Gettysburg-The Nature of a Battlefield is a wonderful guide to the plants and wildlife of the Gettysburg Battlefield. Author Patricia Rich has spent many years on the Gettysburg Battlefield and has brought to life, with over 160+ pages of stunning photography the plants and animals that inhabit the battlefield today. This is a wonderful handy guide for all those who visit today's Gettysburg Battlefield or anyone that has a passion for breathtaking outdoor photography. A description of each plant and animal photographed accompany each photo.ettysburg-The Nature of a Battlefield is a wonderful guide to the plants and wildlife of the Gettysburg Battlefield. 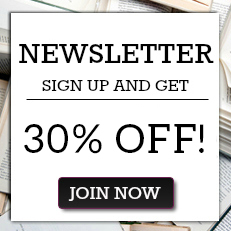 Author Patricia Rich has spent many years on the Gettysburg Battlefield and has brought to life, with over 160+ pages of stunning photography the plants and animals that inhabit the battlefield today. This is a wonderful handy guide for all those who visit today's Gettysburg Battlefield or anyone that has a passion for breathtaking outdoor photography. A description of each plant and animal photographed accompany each photo.